A. 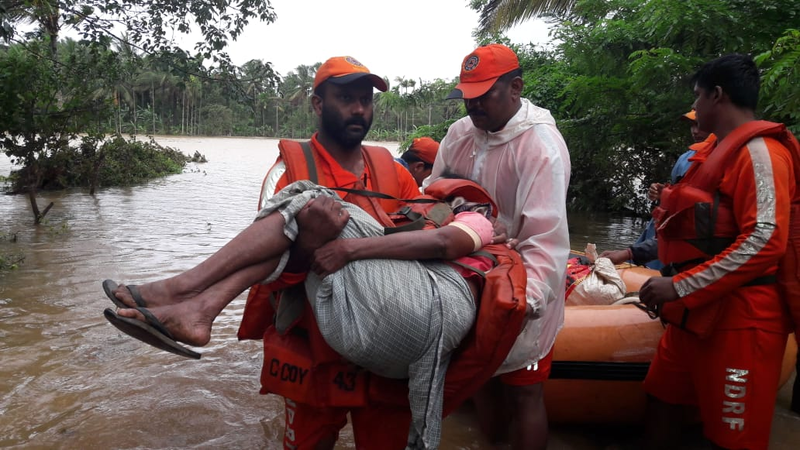 Even as news about the incessant rains and consequent flooding began to trickle in, NDRF pre-positioned its teams and continued to increase their number as the situation worsened. A total of 58 teams were deployed across 10 districts primarily to rescue and evacuate people. NDRF saved more than 550 lives directly and evacuated around 18,000 people. We also provided medical assistance to the sick and needy victims. Our people worked 24X7 to track the incommunicado and inform their family and friends about their safety. The incessant rains led to landslides, collapsed buildings/structures, falling trees, etc., especially in central Kerala. Our personnel worked tirelessly to improve the situation arising out of these events as well. Once the rescue and evacuation phase got over, NDRF personnel helped the local administration in distributing relief material and restoring essential services so that the rehabilitation work begins at the earliest. The situation was very challenging as almost the entire State was affected; however, with the dedication and determination of our people, we aced it. The Force has won laurels from multiple quarters for the service that it provided to Kerala. Q. India is prone to multiple hazards. NDRF teams are pre-positioned at various locations depending upon the vulnerability profile of the region. How does this pre-positioning help? A. NDRF has a permanent regional response centre in Thrissur district of Kerala. The teams stationed there were the first ones to be deployed in Kerala. Additional teams were called in from different battalions as a standby given the fast deteriorating flood situation. On the request of the State government, we deployed 58 teams in Kerala to ensure that the entire operation is managed smoothly. Q. You were a member of the National Crisis Management Committee (NCMC) which held regular meetings in New Delhi to assess the situation. Please tell us the role it played. A. The NCMC was in constant touch with the Govt. of Kerala to understand the State’s requirements of resources – life-saving equipment, specialised resources such as diving teams, medical assistance, relief material, etc. - to ensure continued, adequate and timely assistance. The Committee also ensured coordination among all stakeholders, which led to the smooth conduct of the entire operation. 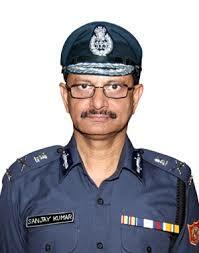 Q. NDRF has so far trained lakhs of people in disaster response. Please briefly talk about the aim of this capacity building initiative. A. The affected community itself is the first responder in any emergency situation. Community’s involvement is equally important in reducing disaster risks as their awareness and compliance of safety measures plays an important role in reducing disaster risks. It is, therefore, important to build the capacity of our people. In addition, there is a need to augment the capacity of the official machinery. NDRF in collaboration with the State Governments conducts training programmes for strengthening the State Disaster Response Forces (SDRFs) as an effective second line of response. 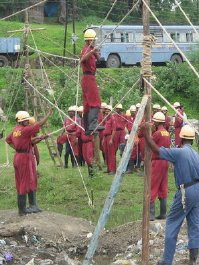 To complement their activities, NDRF also trains other agencies such as police, Home Guards, Fire Services, National Cadet Corps, youth wings, etc. to act as first responders. At the community level, we run awareness programmes in collaboration with the local administration, right up to the gram panchayat level. These programmes are designed according to the vulnerability and risk factors of their geographies. NDRF also runs school safety programmes. Schoolchildren show enthusiasm, learn quickly, practice drills and also act as agents of change in their families, neighbourhoods and communities. NDRF also conducts mock exercises on different disasters. These exercises are also tailor-made according to the requirements of the participating agencies; say, for example, an exercise on fire safety and chemical leakage in a manufacturing plant. Besides, NDRF also works continuously to upgrade its equipment, capacity and mobility so that it can reach out to the people swiftly, and help save lives and reduce economic losses. The Force regularly does familiarisation exercises and resource mapping in vulnerable areas to ensure smooth operations in case of an emergency. Q. What should people do to enhance their resilience? A. Awareness is of utmost importance. People should make themselves aware of their disaster risks and accordingly prepare themselves to tackle an eventuality. All of us should work together to build a disaster resilient society.